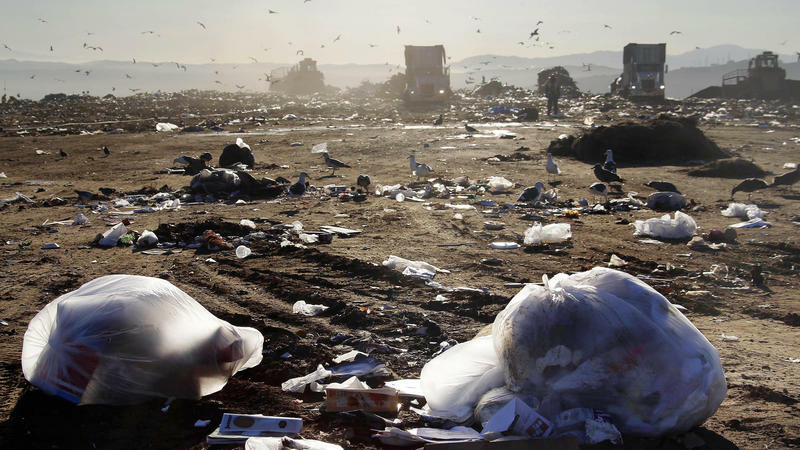 The covering of America's largest landfill, east of downtown Los Angeles, is underway. The Puente Hills landfill took in trash from all over LA County, becoming the go-to repository for most of Los Angeles' garbage. Over its more than 50 years in operation, the landfill grew higher than 500 feet. It stopped receiving new trash in October, but the old waste will stay. All those years' worth of garbage will be covered up and remain underneath the ground. A Maui property management firm has reached a settlement with the U.S. Environmental Protection Agency over lead-paint disclosure violations. The company, Destination Maui, failed to notify its tenants about the potential hazard. But what’s unusual is the terms they’ve agreed to. As HPR’s Molly Solomon reports, the company will be paying for more than just a fine.